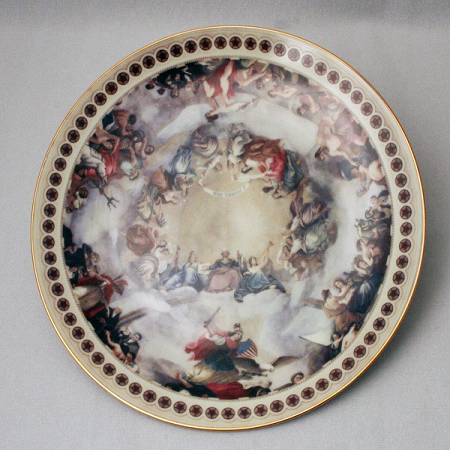 Apotheosis Plate: Apotheosis Plate has beautiful painting painted by Constantino Brumidi. It features the fresco that adorns the oculus of the United States Capitol rotunda, "The Apotheosis of George Washington". Apotheosis Plate is 10 1/2''.